ver the past few months some bits and pieces have been done to bring Eaglesham ready for the next exhibition, which is at the Bonnybridge Show in April 2019. 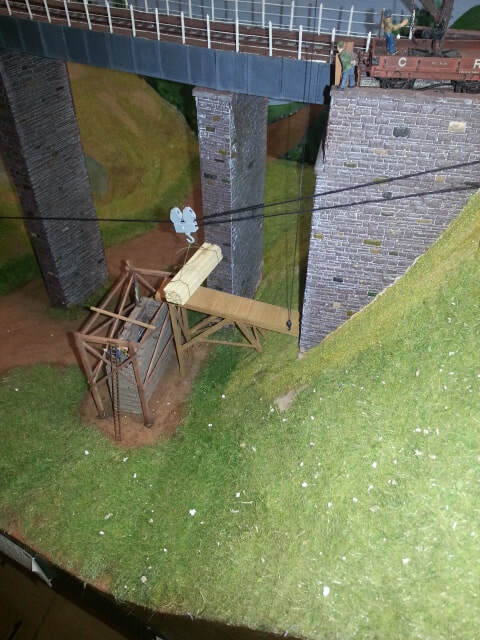 Some scenic works are need to blend it in to the surrounding area, this will be completed soon. 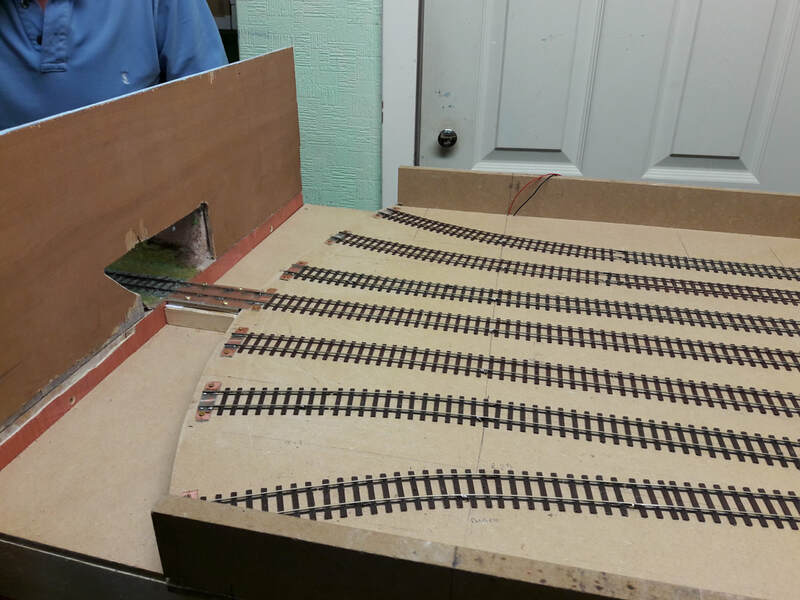 Further detailing and painting has taken place since the photo was taken, its a great model and will look right at home on Eaglsham. Yes its been a full year since this page was updated! After the successful use of the new traversers' mentioned below at the Wakefield show, Bill decided to replace these with train turntables to cut down on stock handling, reducing the chance of accidental damage (and shorting the layout out!) The first turntable has been completed and works a treat. 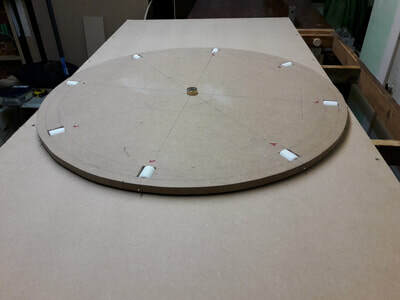 The board is a trifle heavy so we will be reducing the weight by cutting out some of the frame topping, and will look at a way of building the next turntable to a more manageable weight. 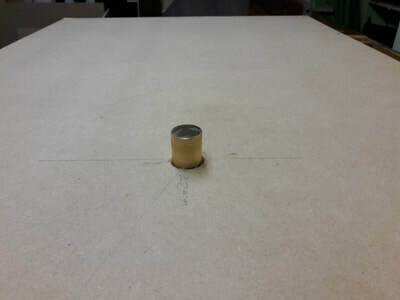 All of the track and uncoupler electromagnet wiring has been replaced, and the solenoids superseded by servos. 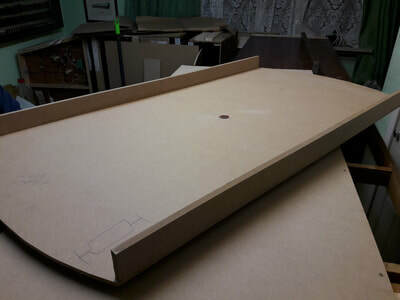 All that remains to be done is the interboard connectors to be wired up and the new control panel finished and that will the electrics completed renewed! Track laying is about to start on the new traverser boards and should be completed in a couple of weeks time. With improvements to Milton Street MPD for the Warley exhibition out of the way and Cold Blow Lane, SE14 still in the construction phase, attention is turning to Eaglesham. Bill has decided to build new fiddle yards to replace the existing cassette system (which will have a new lease of life on Cold Blow Lane) and sector plate fiddle yards. 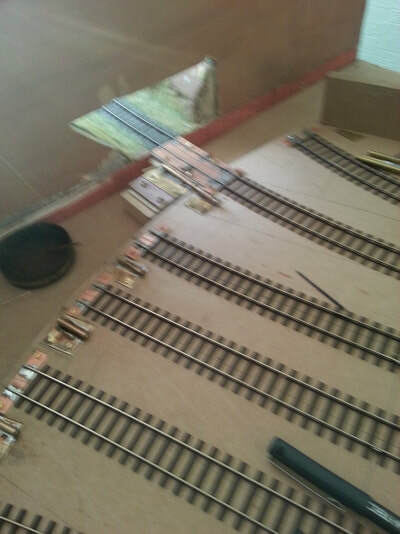 The replacements will be of the traverser type, first tried out on Helenston, standardising both ends of the layout. 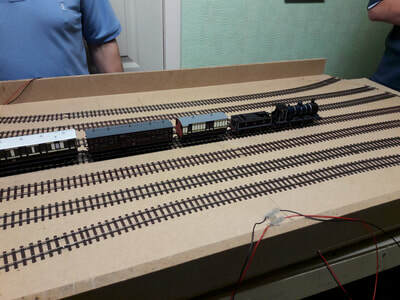 After the traversers are done, the existing solenoid point motors of both SEEP and H&M parentage, are being replaced by servos controlled by a MegaPoints Servo Controller board, bringing Eaglesham into line with Cold Blow Lane, Helenston & Milton Street. The opportunity to motorise the existing signals maybe taken too. 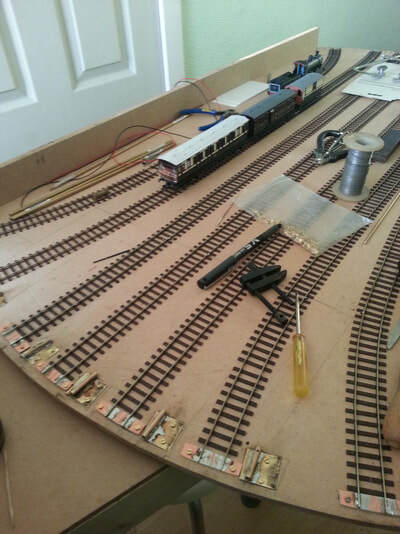 The biggest change to be made is a complete rewiring of the layout to turn it from DC, to DCC control. 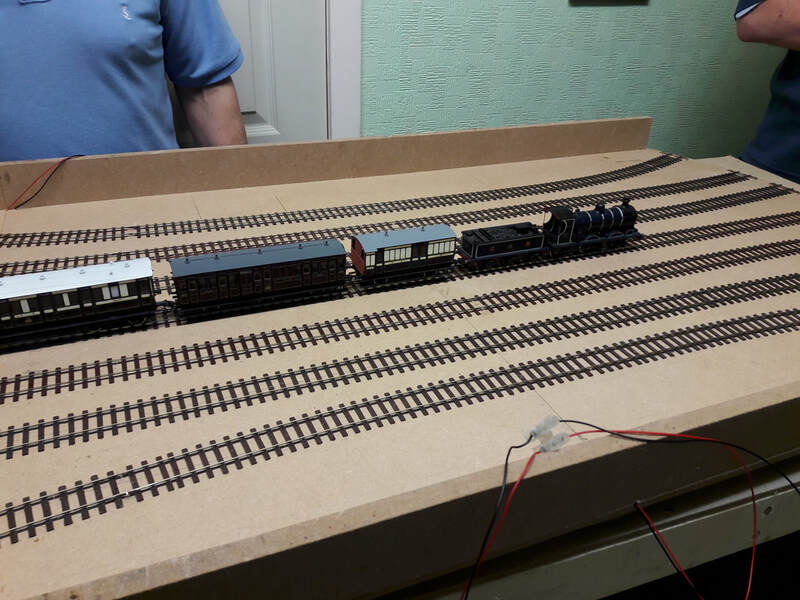 Bill has purchased an NCE PowerCab DCC system, which means that we now have 2 layouts with Gaugemaster Prodigy Advance control and NCE PowerCab Control. As part of the rewire, the control panel will be rebuilt to allow front or rear operation, again bringing Eaglesham in line with the rest of our layouts. 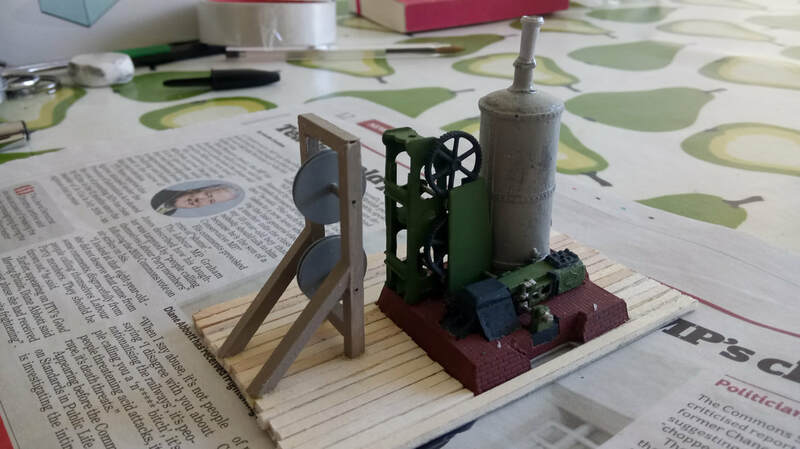 The biggest challenge Bill faces is fitting DCC chips to his fleet of kit and scratchbuilt locomotives, although a successful start has been made on this.